But do you have the playbook for how to bring out your best? In the spirit of helping more people realize their potential and get their greatness on, I’ve completely revamped Getting Results.com (http://GettingResults.com). I’m also sharing a full chapter from my book on high performance, Getting Results the Agile way. By the time you read this page, you will know the most important concepts for thinking, feeling, and doing your best in any situation. 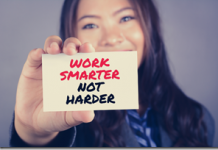 Results and productivity go hand in hand, but there’s a difference. Understanding this difference helps you shift from thinking about efficiency to focusing more on effectiveness. By focusing on effectiveness, you end up improving your efficiency. You also end up paying attention to the results you’re getting. It’s less about figuring out the right things to do up front and more about taking action and making course corrections based on feedback. This is the secret behind the most successful people. They may make a lot of mistakes. But they turn their failures into lessons. They learn how to make the most of what they’ve got and they keep taking action, tuning and pruning their abilities as they go. They drop the stuff that’s not working and stick with the right things, even when it’s tough to do so. They stay committed to their outcomes, but flexible in their approach. This is the ultimate key to success. This is an overview of some of the key concepts for getting results. If you know some of the underlying concepts, you’ll be able to handle resistance more effectively. For example, you might realize that you’re simply in an early stage of competency. By knowing the concepts, you can also figure out more effective strategies. 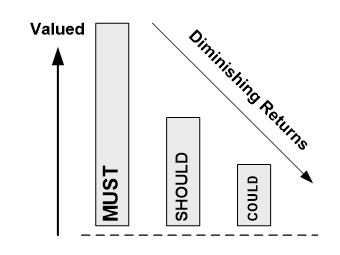 Or perhaps you’re investing a lot of time and energy, but not producing the results you expect; examine whether you’re working on stuff that’s not valued. You also might realize that maybe you don’t have effective boundaries. Here is a set of 25 powerful lessons on being effective and getting results. Some will be more obvious than others. Some will be counter-intuitive. You don’t have to memorize the concepts. Simply familiarize yourself with the ideas. Doing so will provide a firm foundation for your personal productivity practices and results routines. Therefore, focus more on results; don’t just do more things for the sake of doing. Instead of using efficiency as the ultimate measure of success, make it more about effectiveness, value, and impact—now that’s getting results! Just like you can’t control all the events in your life, you can’t control your outcomes. What you can control is your attitude, your approach, and your response. You can make your best play in each scenario. If you focus on the scoreboard, you’re not focusing on your actions. Keep your eye on your actions and let the score take care of itself. You’ll win some. You’ll lose some. And you’ll learn a lot. Most importantly, you’ll have an internal gauge of your performance. One common pitfall is throwing a lot of time and effort at things, only to find that when you’re done, nobody cares. If it was for yourself, was it what you most cared about, or could you have invested the same time in something else and felt like you made a more important impact. If you were doing it for somebody else, ask them whether what you’re working on is really the most important thing to them. If you’re working on a lot of low-priority items, don’t expect to get the rewards. In fact, a pattern is that the more you work on low-priority items, the more you become a dumping ground. The more you become a dumping ground, the busier you get; the busier you get, the more overloaded you will feel. Now the worst happens—you’re overworked, underappreciated, and no fun to be around. By failing to work on what’s valuable and by failing to understand and reset expectations, you’ve worked yourself into an unrewarding, high-stress scenario. One of the secrets of happiness is doing what you love, or loving what you do. Passion is the ultimate driver. Chances are if you look to your best strengths, you’ll find some of your passions. 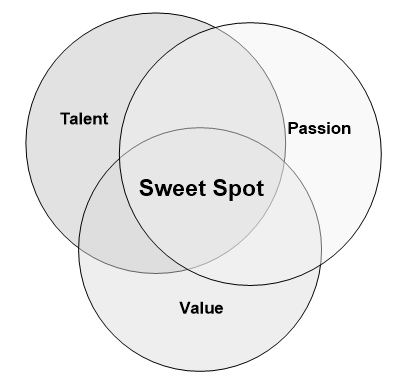 The sweet spot for results is the intersection of talent, passion, and value. Efficiency is doing things better. Effectiveness is doing the right things. The key is to be both effective and efficient. You get there by working first on effectiveness. If something’s not working, change your approach. Once you’re doing the right things, work on improving your efficiency. You can improve your efficiency through repetition and modeling from successful people. It’s also important to have a tight feedback loop. Meaningful outcomes are the foundation of meaningful work. Meaningful outcomes help guide your work. If you have a vision for the end in mind, then you have something to work towards. To figure out meaningful outcomes, you ask yourself what you want to accomplish. One of the challenges is when it feels like your work has no meaning. You’re the ultimate filter for everything that happens in your life. You assign the meaning to your work. Make the work meaningful. One way to create meaning is to master your craft. Do so by focusing on continuous learning and improvement. Teaching your craft and being a mentor for others is another way to both amplify your learning and your impact. Work on stuff that’s valued. This makes work more meaningful. You should be aware whether it’s valued by you, your employer, or your customer. It’s fine if it’s valuable to you but nobody else, but be aware of it. You may be in the wrong line of work or working on the wrong thing. Mindset plus behaviors shape your actions and your results. Your mindset has a lot to do with how you’ll pace yourself, how you’ll gauge your progress, how you’ll work through resistance, how much you’ll enjoy the work, and how much energy you’ll bring to the table. Is this a sprint or a marathon? Are you chipping away at the stone or blasting dynamite? Do you focus on one pitch at a time or getting as much done as possible? Your mindset will be shaped by the metaphors you use to guide you. Motivation includes the drivers and the why behind your actions. Your motivation will give you the extra energy to produce amazing results. It’s the why behind your actions that will either lift you or suppress you. The key to effective results is having a compelling why. A compelling why will also help pick you back up when you get knocked down. One of my mentors once told me that motivation is not enough. You need technique. If you have motivation without technique, you’re just a motivated idiot. If you have great technique, but no motivation, you won’t accomplish anything. But if you have motivation and technique, you can produce great results. Boundaries are the limits you set. Some of the most effective boundaries you can set are time boundaries. For instance, you can set a minimum of time you’ll spend improving your body each week. You can set a maximum of time you’ll spend working each week. You can set a minimum of time you’ll spend on working your relationships each week. Where you spend your time is one part of results. The techniques that you use and the energy you bring are the other parts. 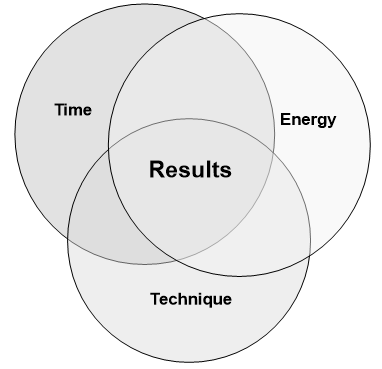 Your best results will be the intersection of your time, energy, and techniques. The important point here is that just throwing time at a problem isn’t the most effective solution. Just throwing energy at a problem isn’t the best solution either. The right techniques can dramatically reduce your time and effort, while amplifying your results. Others will just be expected. Work that’s “above the line” is considered value-add. Value is in the eye of the beholder. Work that’s “below the line” is just expected. It’s like treading water. The funny thing about “below the line” work is that doing more of it won’t get you ahead, but not doing it will likely cause you pain. 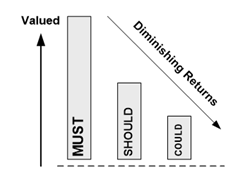 Note that even in “above the line” work, you should still prioritize to maximize value to yourself or others. Note that in “below the line” work, it’s especially important to prioritize. If you miss the important things, they can dramatically take away from your perceived value or your ability to thrive. • Is the work you do considered “above the line” or “below the line”? 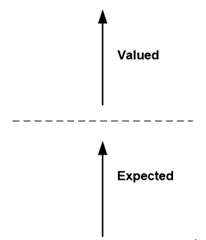 • Where are you at in terms of achieving results: “above the line” or “below the line”? • Are you working on stuff that’s valued? • Who is the value for: you or somebody else? The important thing is for you to have an appropriate frame of reference for the value of what you’re doing. If you don’t feel appreciated for what you’re doing, this might be “below the line” to somebody else. You also might find that you’re stuck taking care of everything that’s “below the line” and you can’t get your head above water. The fix is usually reprioritizing what’s on your plate, figuring out what the real values and expectations are, and resetting expectations with yourself and others. The last place you want to be is grinding away on something that neither you nor anyone else will value, or worse, missing basic expectations that minimizes your overall effectiveness. Don’t overflow your plate. It slows you down, mentally, physically, and emotionally. Instead, clear your plate faster and go up for seconds. To manage your plate effectively, this means you have to learn your own capacity. Develop a habit of defining buffers for the unexpected. Each day can bring new opportunities or new priorities. Buffers allow you to welcome and act on the opportunities if you choose to. There is a popular concept in psychology that explains stages of competence. Conscious Incompetence. Now you know what you don’t know. Conscious Competence. You can think your way through an exercise and perform it with some conscious effort. Unconscious Competence. You can perform the task without thinking about it. It’s automatic. It’s burned into your body and it just knows what to do. Have you ever noticed how some things you just don’t have to think about? For instance, if you drive a stick shift, you don’t have to think about shifting gears. You don’t have to think your way through it—that’s unconscious competence. However, when you first learned, it required a lot of effort because you had to think through every move. Think in terms of these four stages—unconscious incompetence, conscious incompetence, conscious competence, and unconscious competence—when you are learning a new skill. Level 1: Intellectual. You understand it intellectually. Level 2: Emotional. You have an emotional connection to it. Level 3: Physical. It’s burned into your body. When you first learn something, you do so at the intellectual level. You can regurgitate the information. You can think through it logically. As you build experiences, you’ll form emotional connections to the information. You’ll feel a certain way about it. With enough practice and repetition, you’ll burn things in at the physical level. Your body just knows what to do. The idea is to shift from more thinking to more doing. Rather than spending 80 percent of your time thinking and 20 percent doing, spend 80 percent doing and 20 percent thinking. You’ll act on more of your ideas. You’ll get more feedback from yourself and others. You’ll improve your habits. A ship at anchor can’t course-correct, but a ship in motion can. Think … think … think … think … think … This is analysis paralysis. You’re stuck in thought mode. Or worse, you’re second-guessing yourself every step of the way. You slow yourself down when you think through everything you do. Combat analysis paralysis by thinking and then acting. You can analyze your results and change your approach, but don’t slow yourself down in the process. If you have a habit of spending all your time thinking, but no time on doing, then try giving yourself time limits. You can also use quantity limits. For example, you might start with three actions you can do with this idea. First, let’s look at what happens when you don’t get results. When you don’t get results, you start to doubt yourself. Worse, you start to feel drained because it feels like your efforts aren’t working. Next, other people start to doubt you, and it’s a downward spiral. Now, let’s look at what happens when you produce results. It feels good. Results, even just small wins, build your confidence. Like a snowball that grows larger as it rolls, one success builds on another. Another effect is that getting results in one area tends to lead to results in another. One of the most effective ways to improve your results through who you know is know the gate keepers or the influencers or opinion leaders. The gate keepers are people who control resources, opportunities, money, etc. The influencers and opinion leaders are the ones who people ultimately look to for decisions. Being good enough isn’t good enough. The people in your life can create or limit opportunities. If you keep bumping into ceilings, you might be trying to go it alone. Life’s a team sport and it’s better together. You’re the sum of your network, and in today’s landscape, your network will open or close doors for you. Life’s not static and neither is your network. Tune it and prune it like a Bonsai tree. Add the catalysts to your life, and limit the time you spend with the drains. You won’t have time to master everything. Instead, leverage people. People can be for you or against you. If they’re for you, they make things easier. If they’re against you, they’ll drag their feet or make you have to work too hard or block you. All talk, no action, takes away your power. 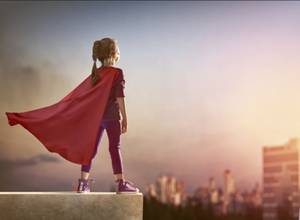 You can think of power as your ability to act. However, while actions may speak louder than words, that doesn’t mean they will always be heard. Sometimes you need to shout about your work (without being arrogant). You can do so by sharing the knowledge to the benefit of others, sharing it for free without asking for reward, or by at least raising awareness of it in some form or another. Too many people hope their work will be seen, but it needs to stand out from the crowd to be recognized. When you wonder whether something is possible or what might work, it’s tough to argue with results. If you can find a working example or point to tangible results, you save yourself a lot of time and wasted energy. Results make a good argument. While results don’t justify the means, they show a possible outcome. 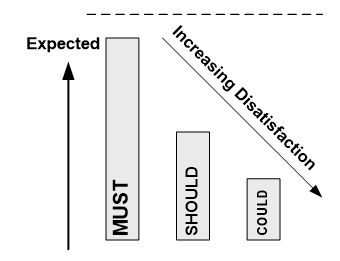 You can evaluate that outcome against what you want to accomplish. If it’s a match, then you can work backwards from what works, and find some potential paths. Life is not static. You are not static. Your situation is not static. 1. Change your mindset to embrace change. 2. Build your anticipation skills. By anticipating change, and expecting it, you can treat change as an opportunity. If you find yourself constantly reacting to change, that means you’re not in a good enough vantage point to see what’s going on in the systems you’re in. One of the ways to break out of a perpetual reaction loop is to start to identify recurring events that happen throughout the year. Write them down so you can see the year at a glance. You’ll notice that the most significant changes are during key events. What might appear to be out of thin air, was actually a progression in a system that you just weren’t aware of. 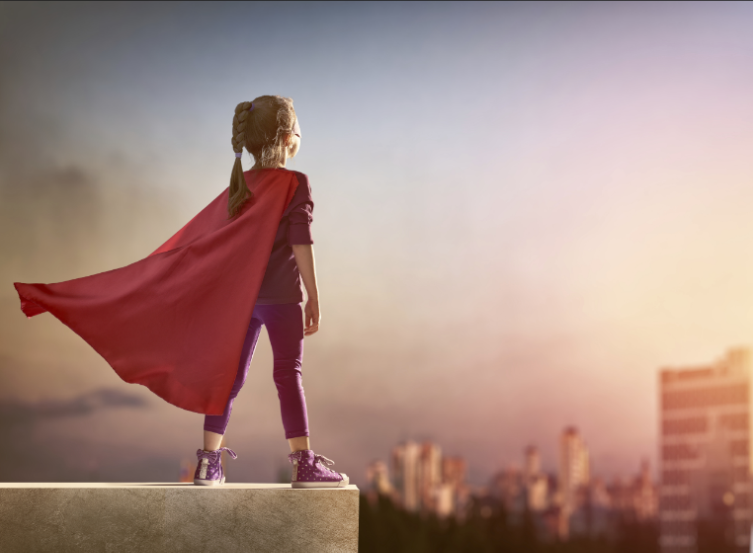 You won’t anticipate everything, but it’s this gradual improvement of anticipation, your mindset of embracing change, and your ability to respond to the unexpected that will dramatically change your feeling of empowerment as well as your personal effectiveness in more scenarios. Energy flows where your passion goes. If you’re continuously run down, it’s likely that you’re spending too much time on things you don’t enjoy. Either follow your passion, or find a way to enjoy what you do. One way to enjoy what you already do is to come up with a new mental model or metaphor. For instance, you might think of it as mastering your craft. Another way is to spend more time in other areas that you do enjoy, to help you refuel. When you know what you’re looking for, you start to see more of it. Your brain can only focus on so much at a time. Once you tell your brain something is important, it gets resourceful. You’ll suddenly notice more opportunities showing up all around you. Think of it as a lens. The opportunities were there, but now they’re in focus. Part of the reason why this works is because of your Reticular Activating System (RAS): a filter system for your consciousness that brings relevant information to your attention. John Maxwell teaches us that leadership is influence. If you improve your influence, you amplify your impact. Influence includes your ability to get other people to follow. While you can always make things happen without other people on board, this creates resistance. On the other hand, when you know how to influence effectively, and this includes one on one as well as influencing a room or a team or a crowd, you set yourself up for success. People help you instead of block you or make things difficult. You’re the most important meaning maker. How you make meaning largely has to do with your self-talk, including the words you use and the pictures you paint. You can think of metaphors as emotional picture words. They can lift you up or bring you down. • The 25 keys represent cornerstone concepts for getting results. • Know that value is in the eye of the beholder. • Find the sweet spot for results by blending talent, passion, and value. • For more effective results, blend time, energy, and technique. • Efficiency is doing things better, while effectiveness is doing the right things. • Pay attention to the results you’re getting. If it’s not working, change your approach. • Combine motivation and technique to produce more effective results. • Manage your plate by biting off what you can chew, and having a buffer. • Invest more time taking action. • Embrace change and build your anticipation skills. • Create effective metaphors to motivate yourself or others. Get your game face on and show the world all that you are capable of.